The Centers for Medicare and Medicaid Services’ scheduled switch next month to a larger set of medical billing codes could ease Medicare secondary payer compliance for workers compensation claims. “The amount of detail it will provide the workers comp community will be amazing compared to what we’ve been using before,” said Rafael Gonzalez, Tampa, Florida-based vice president of strategic solutions at Helios Settlement Solutions, a unit of pharmacy benefit manager Helios. The International Classification of Diseases is a set of standardized codes that identify conditions and procedures in medical billings, according to CMS. Starting Oct. 1, medical providers will switch from ICD-9, which includes about 17,000 diagnosis and procedure codes, to ICD-10, which includes more than 155,000 diagnosis and procedure codes. 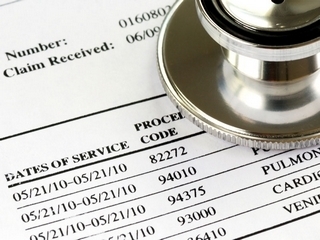 Many ICD-10 codes also specify the types, locations and severity of conditions and injuries. Providers and insurers subject to the Health Insurance Portability Accountability Act are required to begin using ICD-10 codes, according to the Department of Health and Human Services’ final rule published last year. While HIPAA law says workers comp programs are exempt from medical privacy compliance, HHS acknowledged in its rule that new codes likely would affect workers comp. Rita Wilson, CEO of Delray Beach, Fla.-based Medicare secondary payer compliance firm Tower MSA Partners L.L.C., said she believes workers comp payers will adopt ICD-10 codes despite the exemption because it will allow them to take advantage of the coding system’s improved specificity compared with ICD-9. Experts say the new codes will have the largest impact on workers comp payers who deal with Medicare secondary payer compliance. The Medicare Secondary Payer Act requires insurers and self-insured employers to notify CMS of any workers comp or liability claim settlement involving a Medicare-eligible individual. CMS can issue liens requiring that settlements be used to reimburse the agency for medical care it paid on a claimant’s behalf, or that payers set aside money to pay for future medical care related to a compensable injury. Medicare secondary payer experts say workers comp insurers and self-insured employers often are asked to reimburse Medicare for injuries or illnesses unrelated to a workers comp claim because those conditions are lumped in with the claimant’s occupational injury in medical records. Ms. Wilson said ICD-10 will be particularly helpful in allowing workers comp insurers and self-insured employers to specify for which injuries they accept responsibility and those that should be paid by Medicare. “Better accuracy and greater granularity and detail in determining and describing the injury are going to be advantageous for us, the provider community and for the payers,” Ms. Wilson said. This entry was posted in Alternative Medicine, Emergency Medicine, Insurance Issues, Introducing, Lifestyle Health, Medical Studies, Tele-Medicine, Telemedicine Reporter and tagged National Telemedicine Foundation, New Medical Billing Codes, NTF, Telemedicina Mexico, telemedicine, US Tele-Medicine, Will Aid, Workers Compensation Payers by Admin. Bookmark the permalink.